* for wall installation this door must be installed with hinge side down. 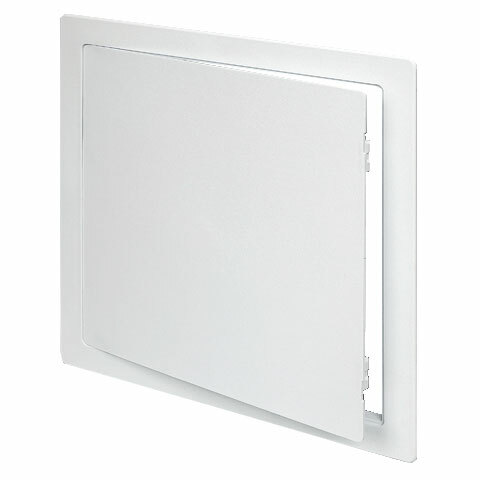 The German engineered System F2 20 x 20 inch access door features an innovative design to provide access in walls and ceilings, while maintaining an invisible, architecturally pleasing appearance. 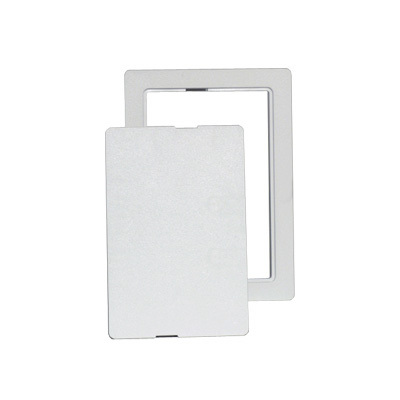 This door comes standard with concealed touch latch closures. The door is hinged and completely removable. 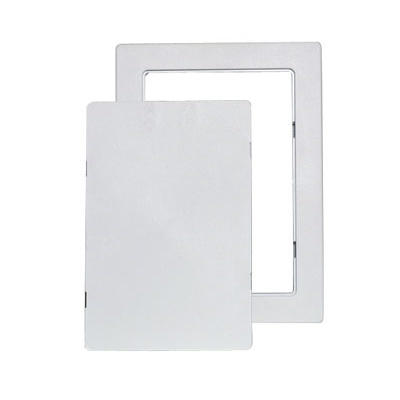 For wall installations door must be installed with hinge side down. This door is designed and shipped ready to be installed in either 1/2" or 5/8" drywall. Door can be configured with an optional tool key operated cam lock or a cylinder lock for added security. 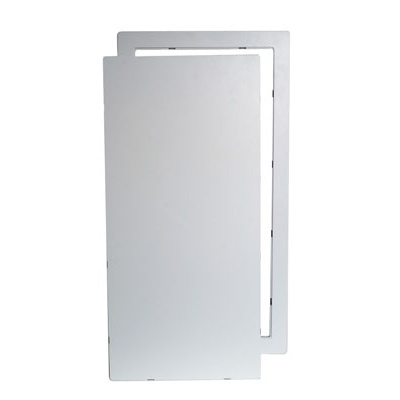 Superior engineering, and precise manufacturing provides a visible, narrow gap of 1/16" between frame and door. 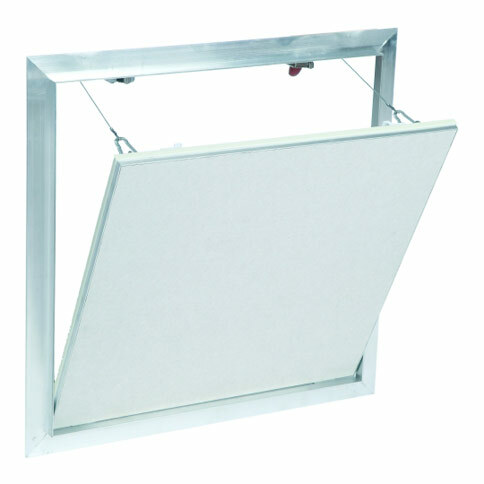 Access Door: lightweight, welded aluminum with drywall in door panel. Also available without drywall. 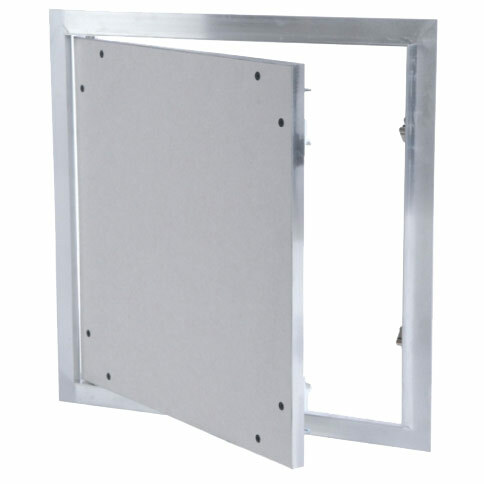 Access Door Frame: lightweight, welded aluminum frame designed for non-framing, reverse mounting. 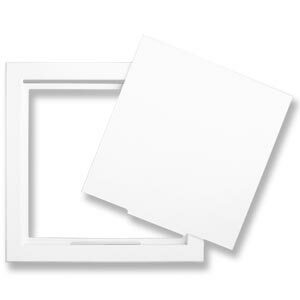 Frame is recessed 1/2" or 5/8". Access Door Finish: Mill Finish. Drywall is ready to be finished to match surrounding wall or ceiling surface.